I like the fun at the table more than I like preparing to play. If I run an adventure more than once, I can invest a lot of time in preparing, and then see my efforts pay off in more than one session. With each run through an adventure, my delivery improves. I emphasize elements that players’ like best and I polish or avoid the rough patches. Sometimes I learn things. This process mostly works in the players’ favor, but as I perfect the monsters’ tactics, the fights get tougher. I can experiment with my descriptions and characterizations, and then witness how small changes influence the players’ decisions. Any game master knows that something as small as the amount of description given to each item in a room can sway a party’s choices. I enjoy seeing how even small changes can influence decisions. The lessons I learn make me better at influencing players’ choices. That sounds bad. I swear that I use any insights I gain for good rather than evil. Running a convention game to satisfying conclusion within a strict time slot demands some finesse. I want to present the adventure so the players’ decisions just happen to follow the broad outline of the adventure. First, I never want to lead players off track. Every game master has seen bit of descriptive fluff lead players into a wild tangent. In a home game, you can run with a tangent, but not in a typical convention game. If players stray off track, I want to lure them back, gently. Despite all this, I never want players to feel railroaded. I would rather improvise than run a railroad. Most adventures written for a convention time slot expect characters to follow a plot arc, but the good ones offer players some interesting decisions along the way. I want the players to weigh as many choices as the adventure offers, and I want all the options to seem compelling. When players enter a discussion weighing the merits of two options, score one for me and the adventure. Whenever players speculate about how events might have changed if they had chosen differently, score another. If the adventure offers a decision that the players’ never consider, then I need to adjust for the next table. For example, if the adventure intends for players to face a dilemma over whether to complete their objectives or to rescue some captives, but the players always choose one option without weighing the other, then I need to tweak things so the players face a thornier, more interesting choice. If I do my job well, then during my next run of the adventure, the players surprise me and the session goes differently than the last. That is how the dungeon master wins Dungeons & Dragons. 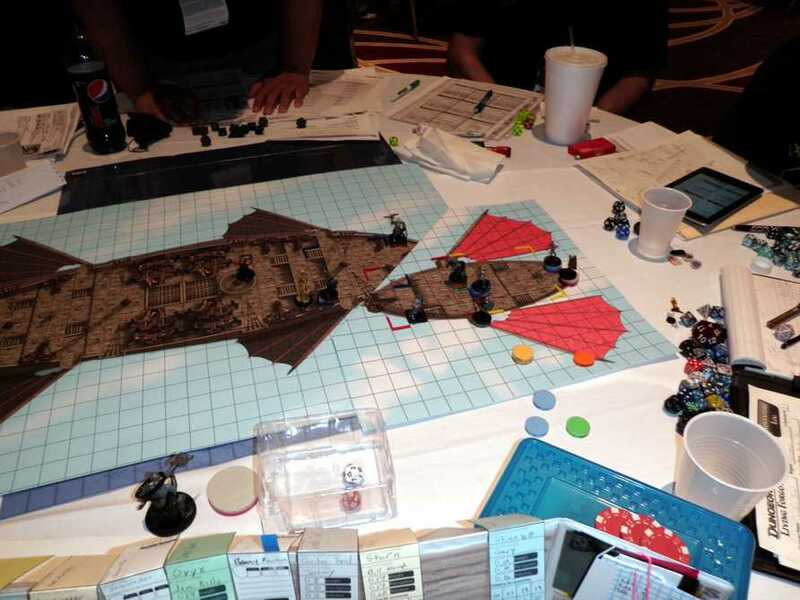 This entry was posted in Advice and tagged organized play, Origins convention, railroading, time constraints. Bookmark the permalink. Bravo! True of one time sessions as well, both the GM and players win when the sessions goes other than planned. The only difference in GM’ing is that in one there is a time limit (a very difficult obstacle) and in the other you never get any “practice” sessions. Perhaps that’s why I try to plan as little as possible.